Early this morning we pulled some beets from our garden, which is overblown and spent, but there are still lots of potatoes and more beets hiding underground. 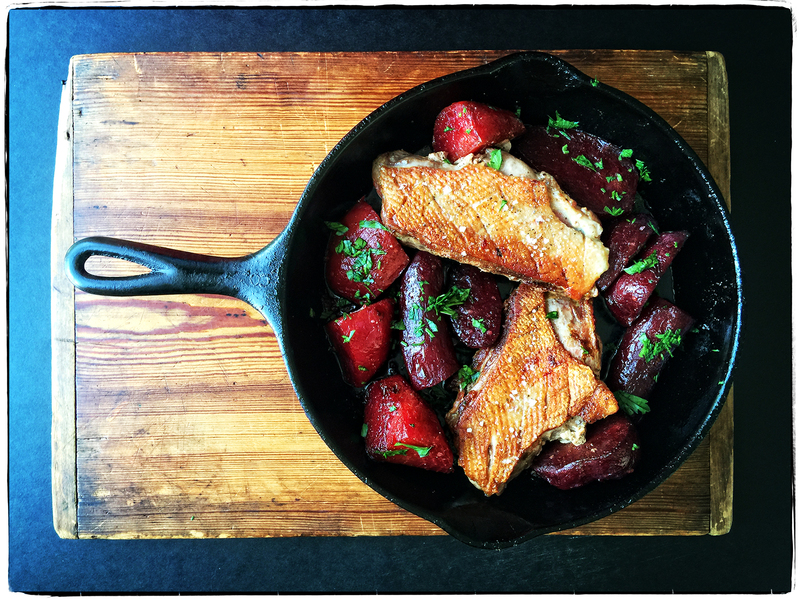 Back in the studio kitchen we roasted the beets and seared two duck breasts, then married them along with all their juices—and a happy marriage it was. The beets tasted meatier than the duck! Isn’t it cool the way the season always tells you what to eat?